Deep Silver plans to re-release their zombie action game Dead Island to stores this summer. 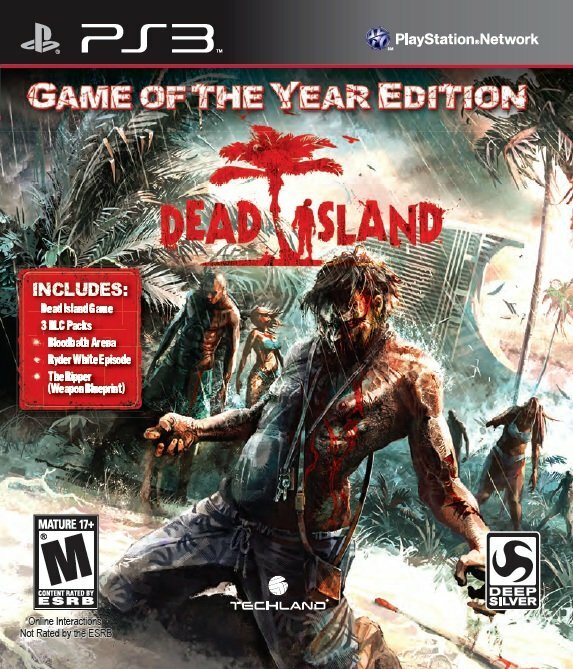 The Dead Island Game of the Year Edition will be debuting on June 26th for the PS3, Xbox 360 and PC. In Dead Island, the residents of a tropical island have begun to turn into zombies. Players take on the role of one of the few survivors. In order to find their way off the island, they must explore the vast island and battle scores of zombies. Firearms and ammunition are scarce so players will mostly rely on makeshift weapons in combat. 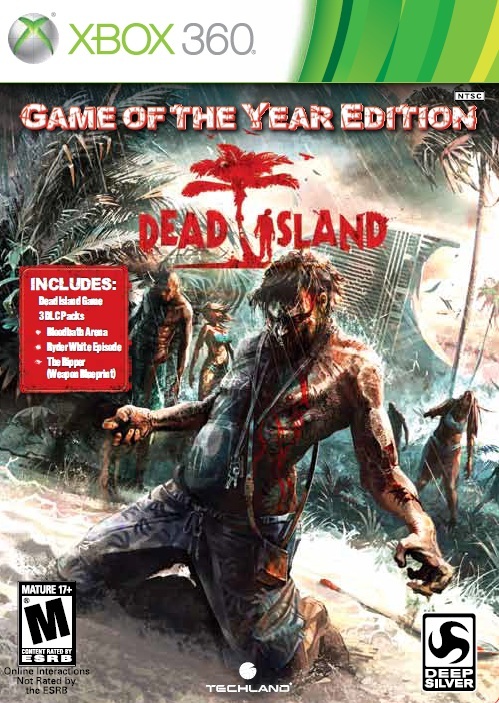 The GOTY edition of Dead Island comes with the game's two major pieces of DLC: the Bloodbath Arena and Ryder White Campaign. The bundle is completed by the Ripper blueprint. This blueprint, previously exclusive to certain pre-order customers, allows players to fasten a whirling circular blade on the end of a melee weapon. Bloodbath Arena is the game's equivalent of Horde mode. Up to four players team up to fight off waves of progressively harder enemies. Through these battles, players earn experience and items that they can carry over into the campaign. Online leaderboards let them know how their performance compares to the rest of the world. Ryder White's Campaign, meanwhile, provides a single-player experience from the point of view of the game's main villain. Players will learn more about White and his motivations. The campaign is several hours in length and introduces new blueprints and weapons. Considering the amount of extras included with the GOTY, $29.99 seems like a reasonable price. It's the same amount you'll have to pay for the standard edition through Steam. A low-price re-release makes sense from Deep Silver's standpoint, though; it could bring a few more fans into the fold before they announce the rumored sequel.